Epidiolex, compounded from decontaminated cannabidiol, or CBD, permitted for two atypical types of epilepsy, would be the first prescription medication extracted from the marijuana plant, expected to reach pharmacies this fall. It could travel this far owing to one family's pursuit to seek treatment for their son's epilepsy. 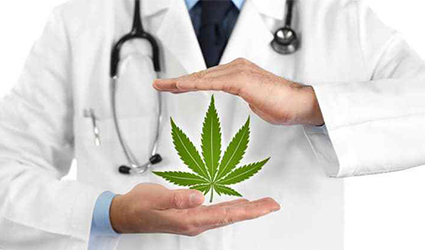 The Food and Drug Administration ultimately approved Epidiolex in June, though CBD, which doesn't produce the mind-hallucinations that comes from THC, was difficult to trial, due to rigid laws on using cannabis in research. Sam Vogelstein's family and his doctors searched for ways to function bypassing those restrictions in their struggle to control his seizures. They teamed up with Dr. Roberta Cilio, a neurologist at the University of California, San Francisco. They appealed to the FDA to allow Sam to take the drug under a compassionate use program. The FDA eventually allowed Sam to enroll in his own one-person trial at UCSF after four months and heaps of documents later. Inspired by Sam's improvement, Cilio, and other clinicians, started giving Epidiolex to other patients. In 2015, she and several co-authors published a 214 patients study in Lancet Neurology that included treatment-resistant epilepsy in children and young adults. For the majority of patients, the results were not as striking as Sam’s. Seizures decreased in 36.5 percent of the patients, which is akin to the success rate of other seizure medications, Cilio says. Few patients suffered side effects like fatigue, diarrhea. "The studies that are out are mostly short term," says Cilio. "We need to learn who the best responders are. Of course, we know this is not a miracle drug." “The FDA's decision to approve Epidiolex means that epilepsy patients will have access to a pharmaceutical-grade drug, which delivers a high-quality, consistent dose of CBD,” says Dr. Robert Carson a pediatric neurologist at Vanderbilt University.